Ang Lee was born on this day in Chaochou in Pingtung, Taiwan in 1954. He is 58 years old. His parents put a heavy emphasis on a classical Chinese education, including culture, art, and calligraphy. His father was the principal at his high school, and Ang was expected to become an academic, perhaps a professor. But, his interests in drama took him in another direction. 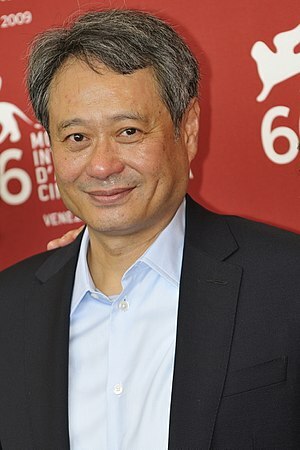 After graduating from The national Taiwan College of Arts and completing his mandatory service in the Republic of China’s military, Ang Lee attended the University of Illinois at Urbana-Champaign where he received his BFA in Theatre/Theater Direction and New York University where he earned his Masters in Film Production. At NYU he worked with Spike Lee on Joe’s Bed-Stuy Barbershop: We Cut Heads. His Shades of the Lake was a Best Drama pick in Short Film in Taiwan and his Fine Line, his thesis film, won the Outstanding Direction Wasserman Award and was later shown on the BBC. His professional career was off to a slow start. 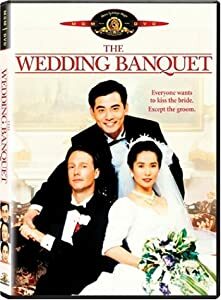 After struggling for six years he submitted the screenplays for Pushing Hands and The Wedding Banquet to a Taiwanese competition in 1990. The scripts came in first and second. Back in 20th century (this time 1973 Connecticut), Lee tackled a dysfunction family in crisis in The Ice Storm. The film starred Kevin Kline, Joan Allen, Sigourney Weaver, Tobey Maguire, Christina Ricci and Elijah Wood. He worked with Tobey Maguire again in Ride with the Devil, a Civil War tale about two friends who join the Bushwhackers in Missouri. Next came the magical Crouching Tiger, Hidden Dragon. It is the story of a mysterious young assassin who steals a magical sword and the two martial arts masters who set out retrieve it. The chase through the bamboo forest alone is worth the price of a rental. With movies about family drama, English classical literature and Asian mystical martial arts under his belt Lee did the next logical thing… he directed a movie based on the Marvel Comic’s hero the Hulk. 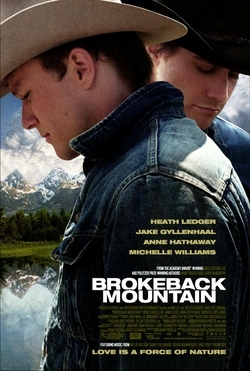 Lee won Best Director at the Academy Awards, BAFTAs and Gold Globes for Brokeback Mountain. Lust, Caution takes place in Japanese occupied 1938 Hong Kong and 1940s Shanghai. A group of Chinese university students plot to assassinate a government official. The film was called tense, sensual and beautifully-shot. 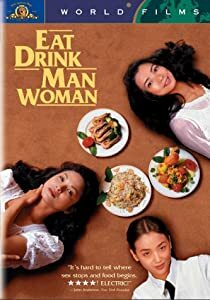 The film did well in Hong Kong and China, but because of its adult content it earned an NC-17 rating in the US and didn’t do well in this market. His latest film, Life of Pi is due out next month. Life of Pi is based on the novel by Yann Martel and is about a 16-year-old survivor of a ship wreck. He finds himself on a lifeboat with another unusual (and dangerous) castaway. This entry was posted on Tuesday, October 23rd, 2012 at 9:26 pm	and tagged with Ang Lee, Brokeback Mountain, Taiwan and posted in Ang Lee, China, Film, Jane Austen, postaday, Sense and Sensiblity, Thought of the Day, Today's Birthday, Uncategorized. You can follow any responses to this entry through the RSS 2.0 feed. Ang Lee shares a birthday with someone near and dear – Happy Birthday to Rita!